Lock in a great price for Bed & Breakfast Rotes Haus – rated 8.2 by recent guests! Great central location for family visit. Good value for money with nice breakfast included. The mattress and blankets were comfortable. Good, modern shower head/water pressure. Location was close to the walking area/lake. great storage in the room. good wifi. The staff was very pleasant, especially the ladies at breakfast. They treated my dog very well. It was close to downtown and very comfortable. The breakfast is fantastic. easy Reservation, uncomplicated, clean and comfortable. convenient, near to the city center, especially near to railway station and bus station, 5 minutes walk. industrial style. It is okay, but feels a bit overpriced. We got lucky to get a parking place, but if you come late you may end up parking on the streets at your own expense. Breakfast was ok, not oitstanding but not bad at all. Good modern hotel in a great location. A 5 minute walk gets in you on the lake with all that has to offer. 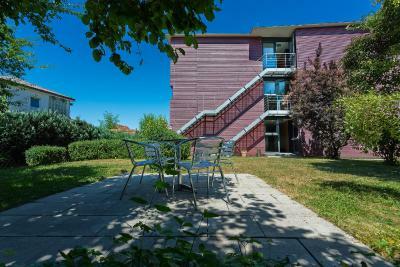 It is located in a nice quiet neighbourhood close to the old town and the lake. The room is nice and clean. The bathroom is a little bit small. Free parking is a big plus. The reception staff is polite and nice although their English is not very good but we have managed to understand each other. 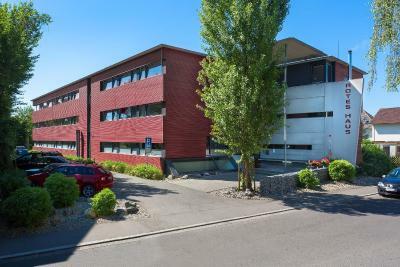 Excellent location that is very close to Bodensee (0.5 km), old city center (0.4 km) and grocery stores (0.3 km). Good variety in the breakfast buffet. Bed & Breakfast Rotes Haus This rating is a reflection of how the property compares to the industry standard when it comes to price, facilities and services available. It's based on a self-evaluation by the property. Use this rating to help choose your stay! 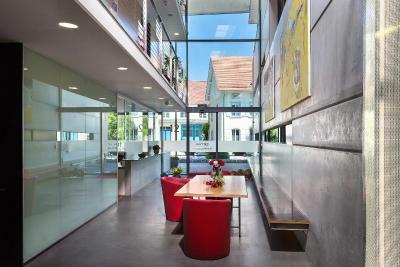 One of our top picks in Überlingen.Bed & Breakfast Rotes Haus is centrally located in Überlingen am Bodensee. It is a few minutes' walk from the historical Old Town, the beautiful lake promenade and many shops and restaurants. The modern house offers large and bright nonsmoking rooms. 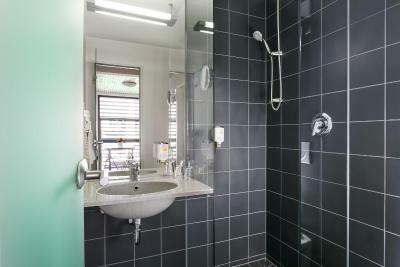 All rooms include a flat-screen TV and a private bathroom with shower and hairdryer. Bed & Breakfast Rotes Haus also provides parking facilities for bikes and cars. 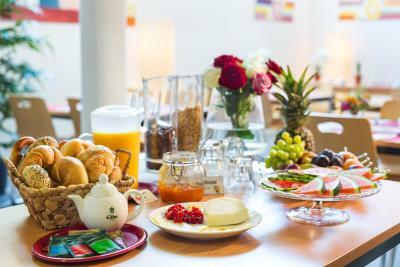 A large and healthy breakfast buffet is offered each morning. 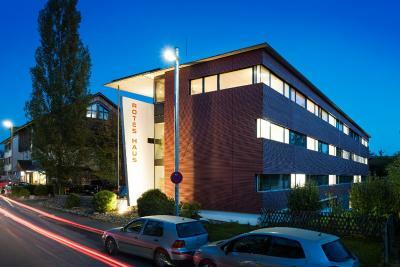 The Bodensee-Therme is just a 15-minute walk away. There are many other attractive day-trip destinations within a short drive in and around Lake Constance. When would you like to stay at Bed & Breakfast Rotes Haus? Please note that the bedding setup is subject to availability and cannot be guaranteed by the property. House Rules Bed & Breakfast Rotes Haus takes special requests – add in the next step! Bed &amp; Breakfast Rotes Haus accepts these cards and reserves the right to temporarily hold an amount prior to arrival. Bed & Breakfast Rotes Haus accepts these cards and reserves the right to temporarily hold an amount prior to arrival. Please note the reception is open from 07:00 until 20:00. Guests expecting to arrive after 20:00 are kindly asked to contact the property in advance of their arrival. Guests are kindly asked to provide the property with their mobile telephone number. we were only 1 night so everything was ok.
pillow is not so suitable for me. Staff is not very friendly. She did not.speak one word to me during check in. wifi is not so stable, especially while i stay out of the gate for smoking. Good location with just a short walk to the waterfront and centre. Could use some air conditioning but that's about it. Major problem with the room and bathroom Cleanliness. Bedsheets and covers are not clean, bathroom toilet in bad shape. Simple items such as shampoo and bathing soap non existent in shower. I expected a much better room quality and a cleaner bathroom for the rates I paid. Make sure you let them know personally if you're arriving after 8 p.m. The hotel minimizes expenses by not having third-shift staff. They are supposed to email you a code for the outside safety deposit box, in which you find an envelope with your key. I wish I had known that, because they didn't do it for us. We arrived at 11 p.m. as planned (which I had indicated during the online booking), and we were lucky to have bumped into some other guests, who helped us get our key. Also, the hotel's parking lot was full, so we had to leave our car outside and wonder if we were going to get a parking ticket (didn't). It was good value for money. We were visiting AERO Friedrichshafen, which is a half-hour drive. 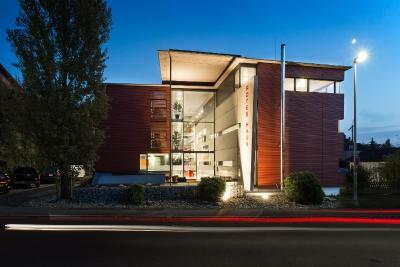 The hotel is a nice piece of architectural work, simple but functional, also quite new. We only needed a place to spend a night, and it served the purpose very well. Breakfast was quite good too. Would probably use it again. winter comes, it seems heater not working, room temperature was a little bit low, personally, i prefer warm room in winter.